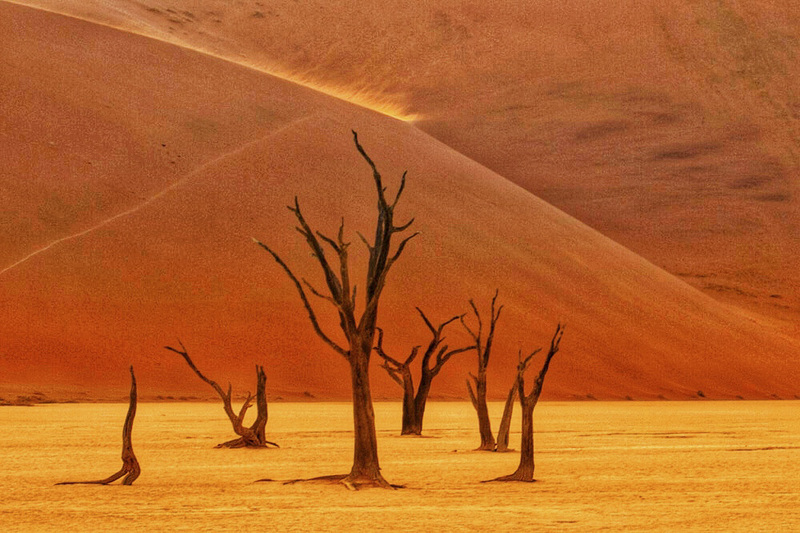 Watching the sunrise dissolve the morning shadows in Sossusvlei, Namibia, is a such a spiritual experience that mere words cannot begin to do it justice. Here’s a few photos from this magical desert which contains the highest sand dunes on our rather lovely planet. Scuplted by the winds into an ever changing landscape … it’s amazing what nature can achieve when it has an unlimited budget ? 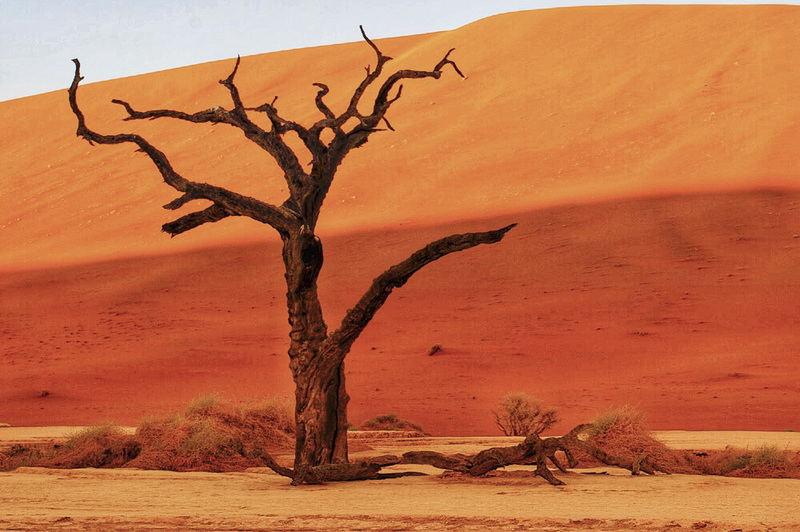 Sossusvlei Namibia sand dunes can reach up to 300 meters high and form a natural salt pan amphitheater where a number of dead trees remain. 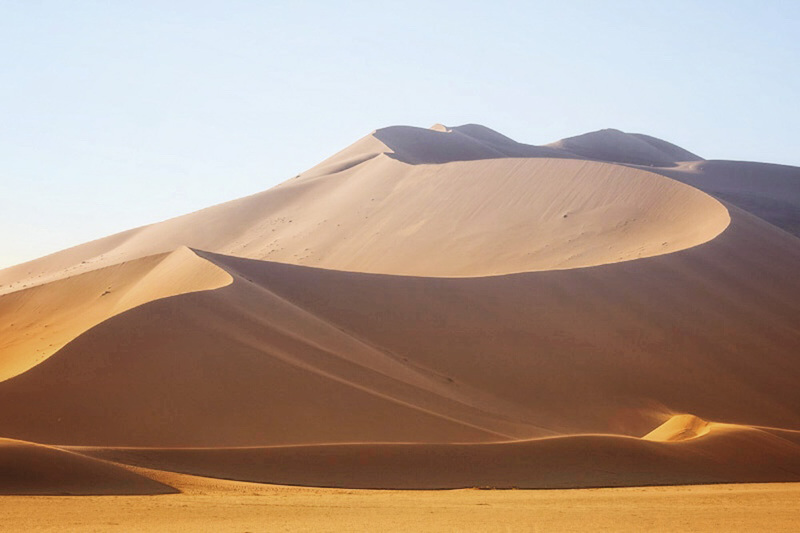 Sossusvlei Namibia sand dunes – get there early ! 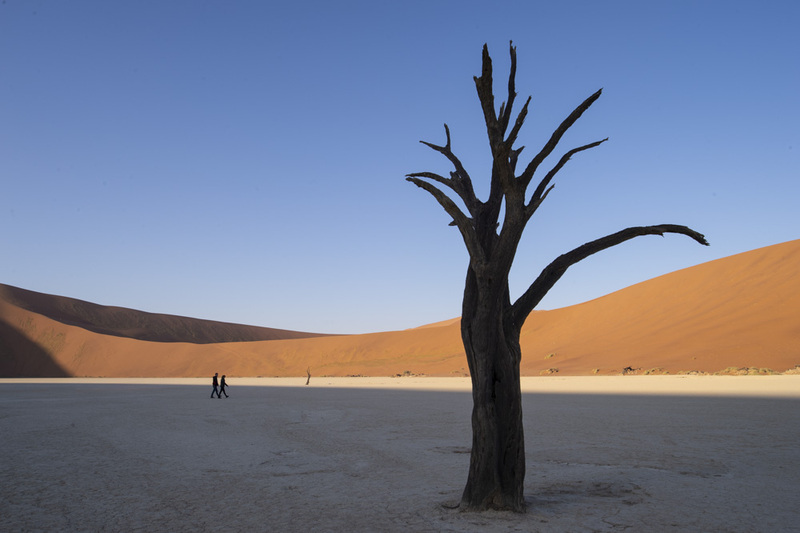 On my recent trip here as part of my Namibia photography holiday we were the only people in the salt pan for sunrise. To acheive this you’ll have to stay inside the national park and the only lodge is the stunning Sossus Dune Lodge. Get up early as it will take you about 40 minutes to drive to this area of sand dunes and then another half an hour or so to walk into the salt pan. You should then have the place to yourself to enjoy one of the most spiritual sunrises on planet earth. 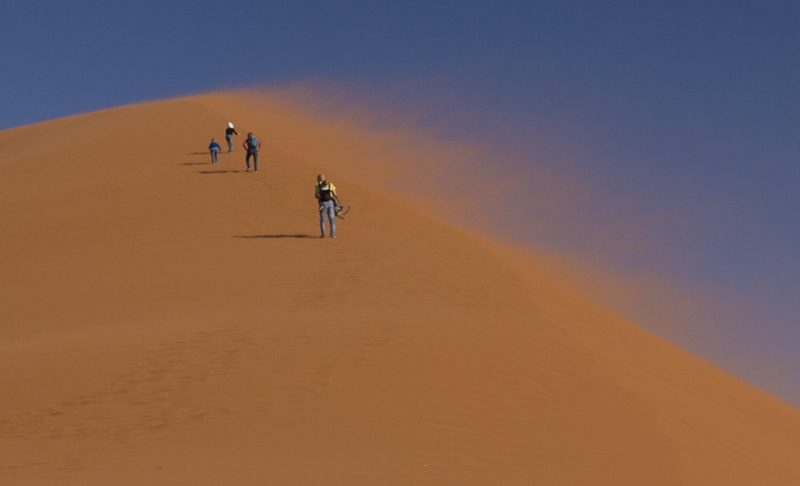 The Sossusvlei Namibia sand dunes are the highest in the world reaching over 300 metres.